If your tax problem seems so bad that you are considering Bankruptcy or a Debt Proposal? Please contact us before you do anything drastic. In many cases there are ways around this or at least to get rid of a lot of the stress. Often it is tax liability that tips the scale towards bankruptcy, because both income tax debt and GST debt is normally wiped out in bankruptcy. Sometimes, Bankruptcy is the right answer, sometimes it is not and you always need to make informed decisions. Sometimes a Debt Proposal is the better answer. Bankruptcy is a serious decision requiring risk management, knowledge and planning. We have extensive experience in dealing with these matters. 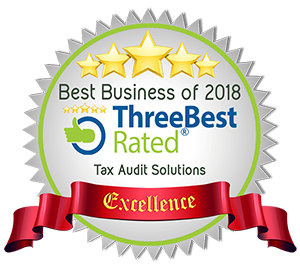 There is a lot to consider and You absolutely need to talk to a seasoned tax expert, before embarking on such a serious course of action. If you truly are insolvent, we work closely with Bankruptcy Trustees to make sure you make the right decisions. By having us consult with you first, the actual process of applying to go bankrupt becomes more of just a procedure, once the stress and fear of the unknown is removed. 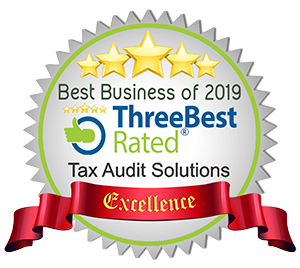 As Professional Tax Representatives, we not only handle your tax problems, but we also consult on many related subjects. We are seasoned business Dudes who have learned from the School of Hard Knocks. There is nothing like grey hair and wisdom to be on your side in times of trouble. Never tell CRA that you are considering bankruptcy or a proposal. They will move quickly to protect their interests. This could include grabbing your RRSP. Under the new BIA legislation, CRA can not take your RRSP if you do a debt proposal or a bankruptcy. However they can grab stuff prior to your declaration. You can continue to run your own business when you are insolvent. Being bankrupt does not stop you from being in business, it only stops your ability to have credit. If you are considering going bankrupt there are a lot of things to be put in order prior to insolvency. You really need some planning here. Do not fail to plan ahead of time. You can begin building your credit long before the insolvency is off your credit report. There is no longer social embarrassment about insolvency. It is far too common place today for there to be a social stigma attached. If you lose any friends or relationships over insolvency, it is better to find out that they were not friends, sooner rather than later. Most people don’t give a damn if you go bankrupt or not, anyway. You get to keep your non incorporated business. You get to keep your car, depending on value limit and need. You get to keep your real friends.